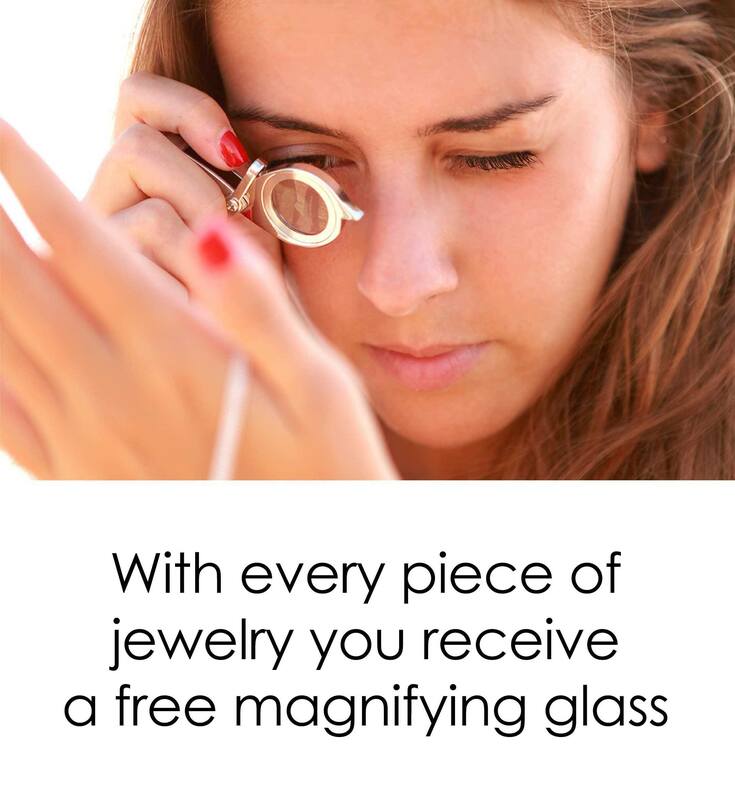 Alcoholycs Anonymous Jewelry - Gift Encouraging Nano Jewelry Now! Stumbling and falling are a given in life, but it’s up to each person to consider whether getting back up again is worth it. 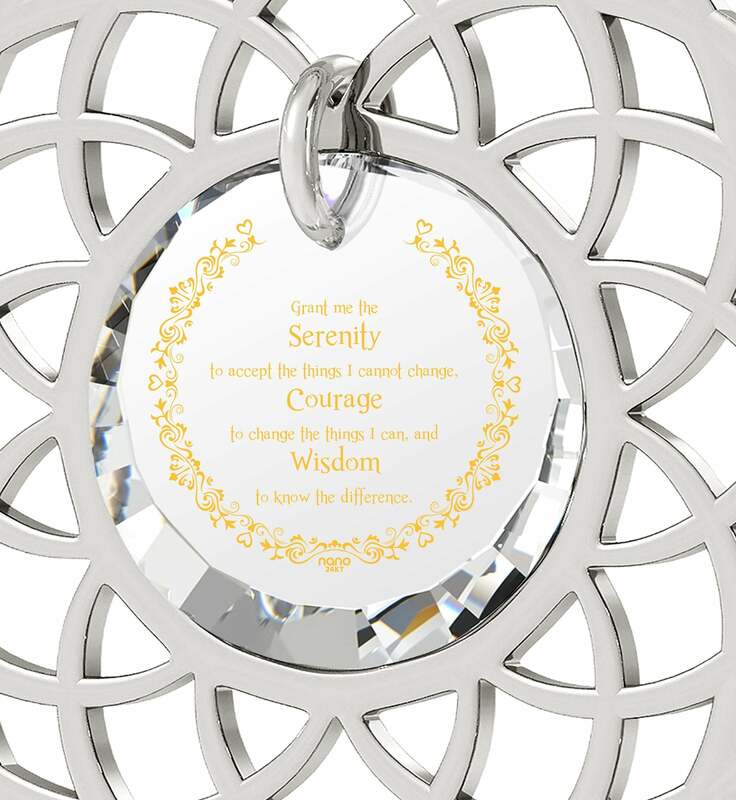 Reciting the serenity prayer ječšs make one see things in their real light, accepting that the time has passed for some, but that peace and happiness are still within reach. 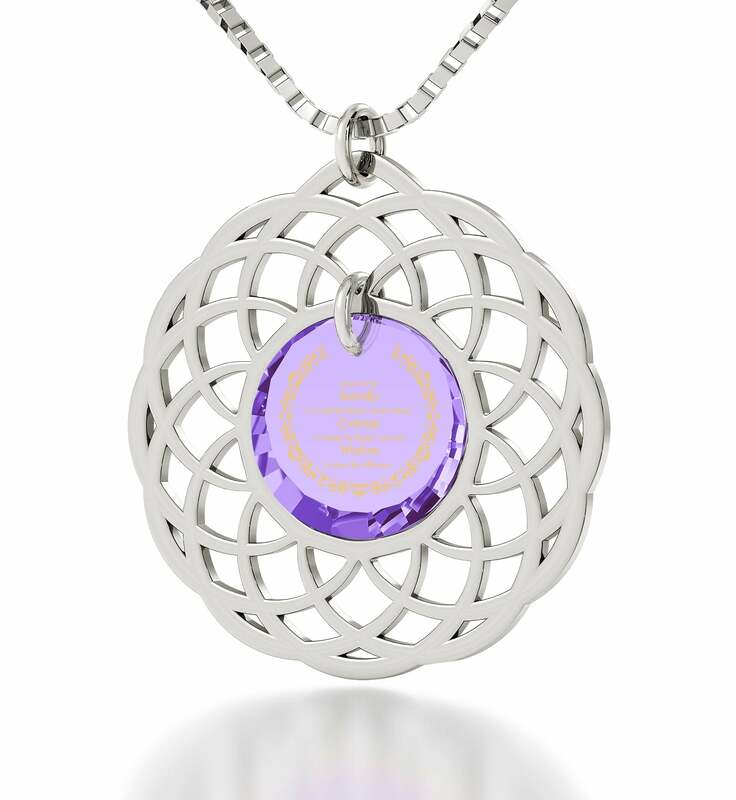 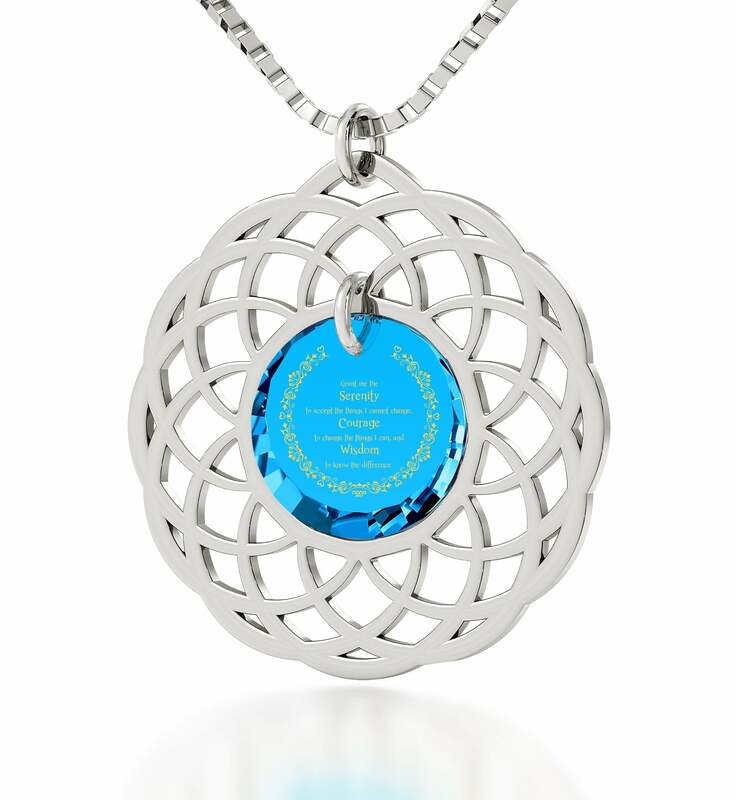 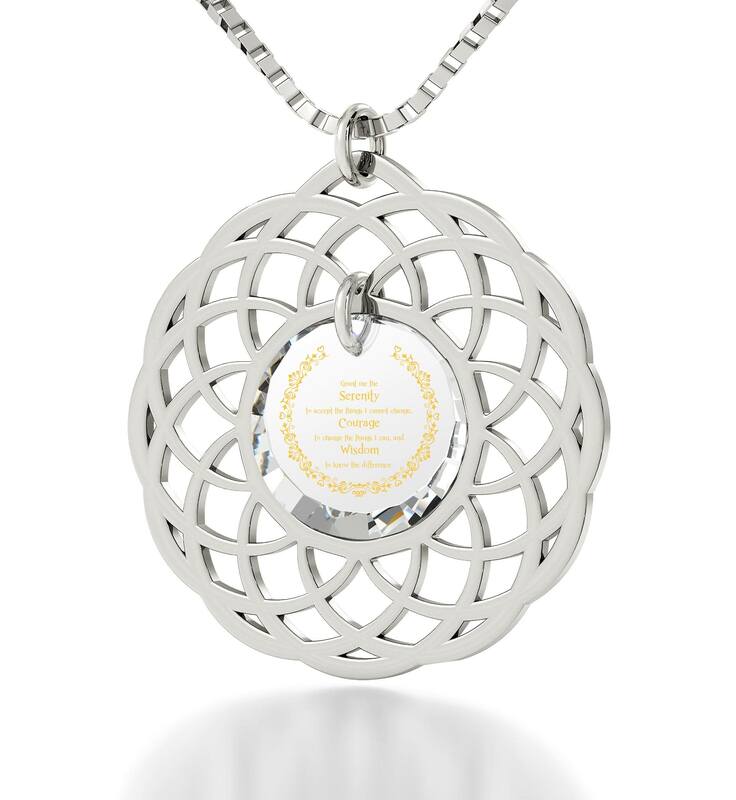 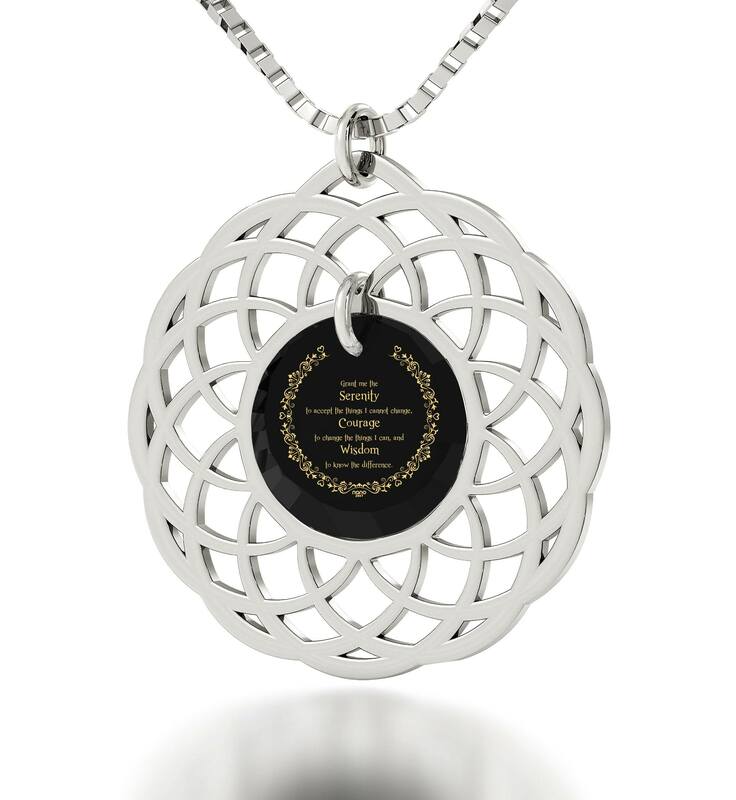 Lucky is a woman who has loyal friends and family that want to help in figuring things out, and luckier still if they give continued reassurance through something like symbolic serenity prayer jewelry, a thoughtful gift for her that makes her feel loved and beautiful. 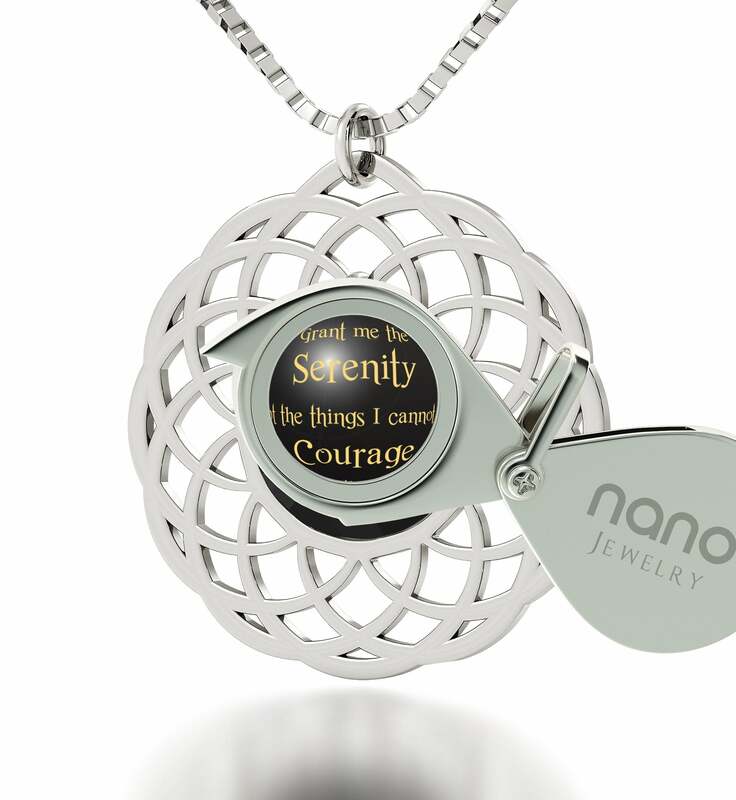 Both of these are paramount in nurturing self-worth and why this piece has found much success as Alcoholics Anonymous jewelry. 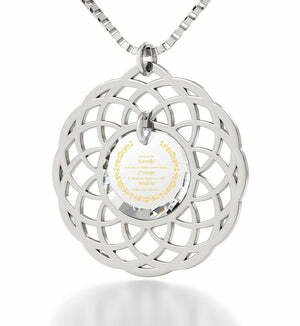 On one hand, its delicate yet complex silver frame and radiant CZ gem grant new vigor to her outward appearance. 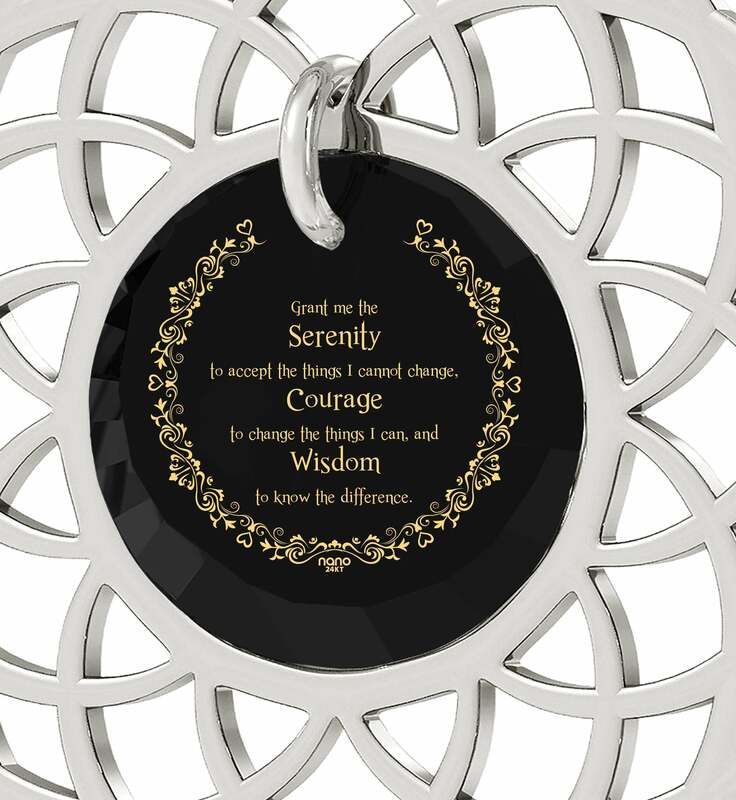 On the other, the Serenity Prayer imprinted on it in pure gold puts things into perspective, reminding her not to fret over things she can’t alter, and to do her best with those she can. 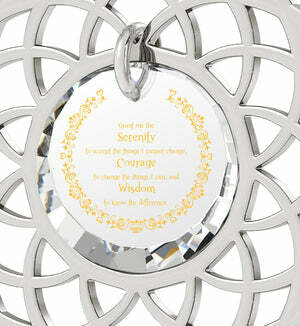 The prayer is fashioned with unparalleled detail and skillfully caressed by a floral border of even greater complexity. Truly a versatile womans gift idea, no? 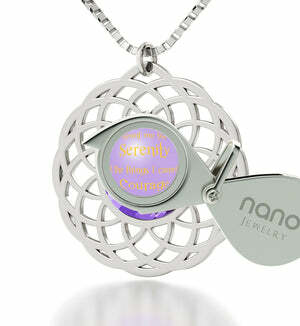 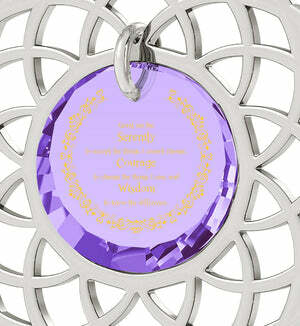 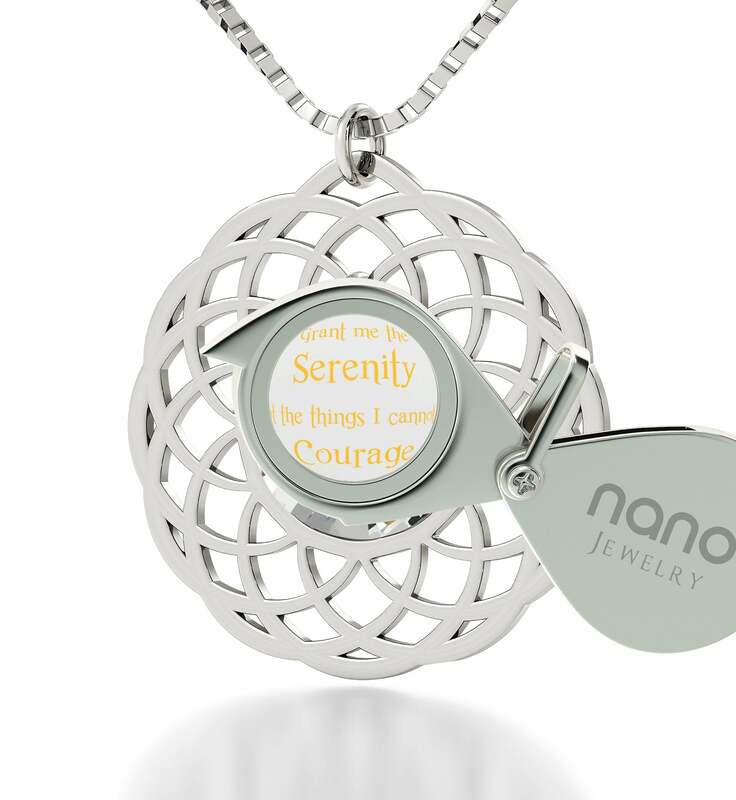 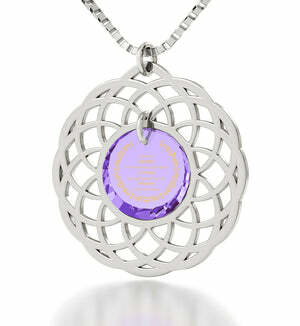 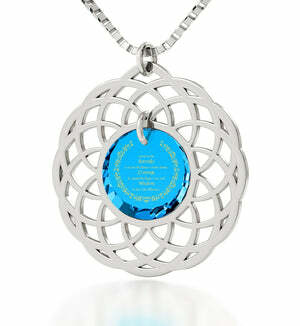 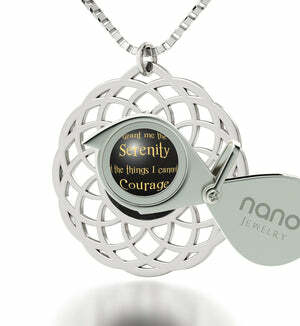 The special Serenity Prayer pendant has company too. Sharing its comfy gift box is a practical magnifying glass perfect for helping her to reflect on the prayer whenever she could use a bit of its wisdom. Choose among four diverse colors to bring the pendant even more in line with her existing style, or let it be the womens present that helps her redefine who she is with positivity and grace.